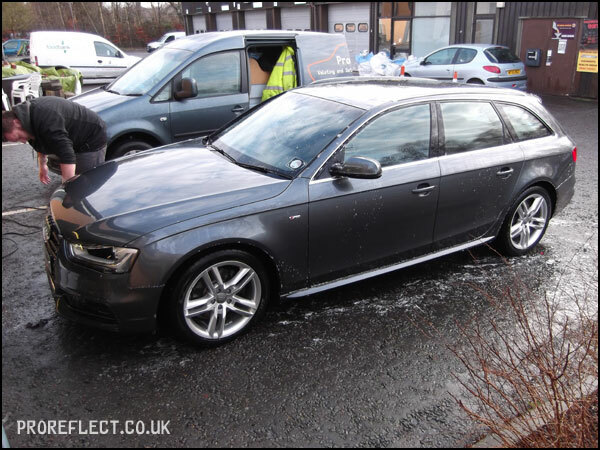 A brand new car for a returning client, this Audi A4 Avant Sline – Daytona Grey Pearl was booked in for a New Car Protection Detail. 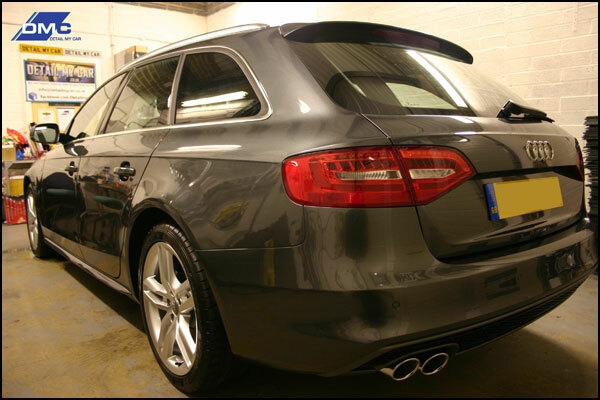 The brief from the client was simple. 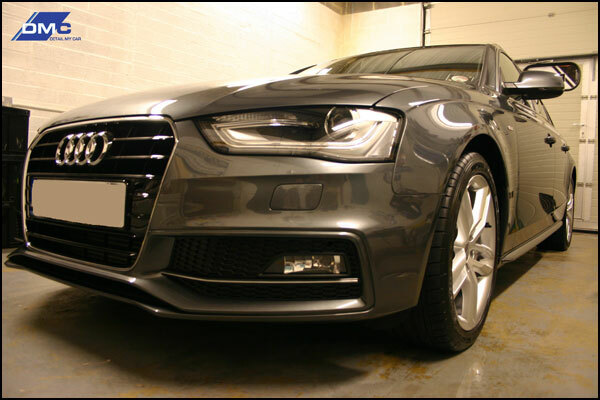 They wanted the best possible protection to be applied on all surfaces to give long term protection and easy maintenance. 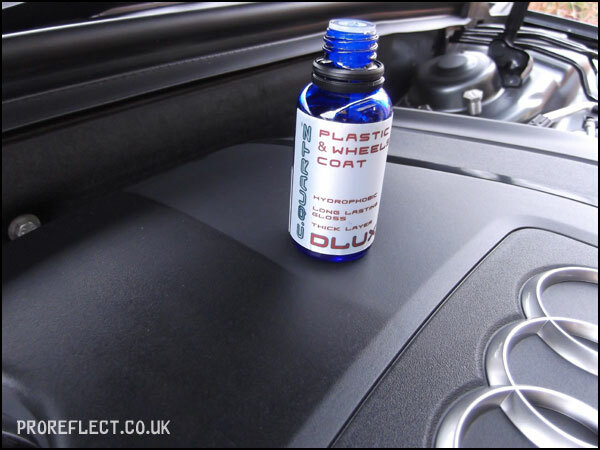 For this, I teamed up with Nick @ Detail My Car who is a Cquartz Finest Authorised Detailer. 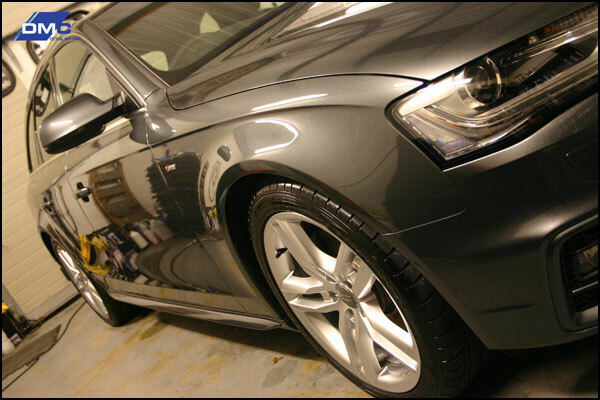 Cquartz Finest gives an extremely durable layer of protection, that is not only scratch proof, it also gives outstanding gloss and self cleaning properties and will last a minimum of two years. 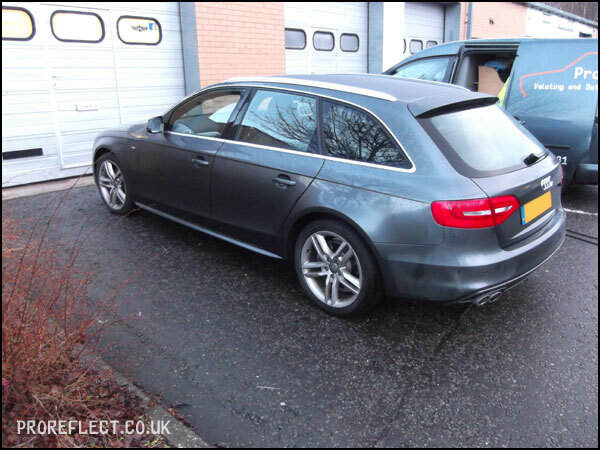 Spread over two days, this is how the Audi arrived. 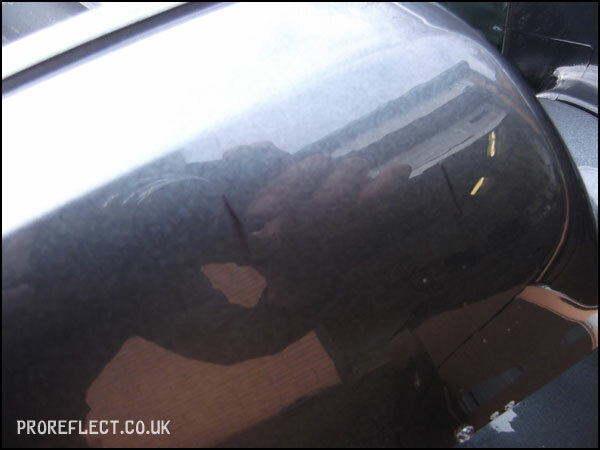 A little bit of pre-delivery wax still present on the drivers sill. 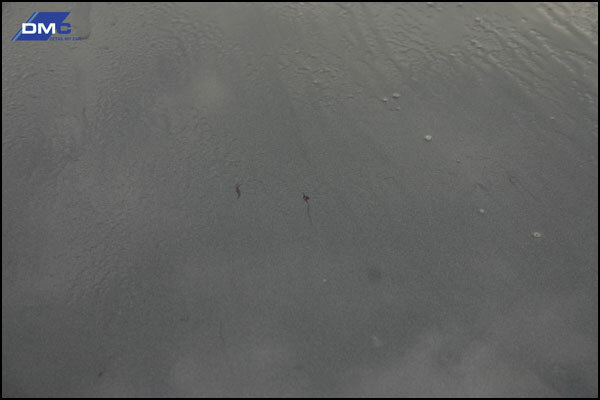 This was easily removed with a spot of Tardis. 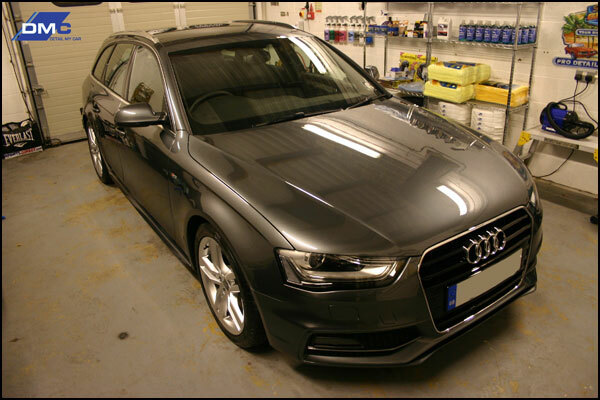 …before an application of CarPro Dlux to enhance the plastics and keep them from fading. 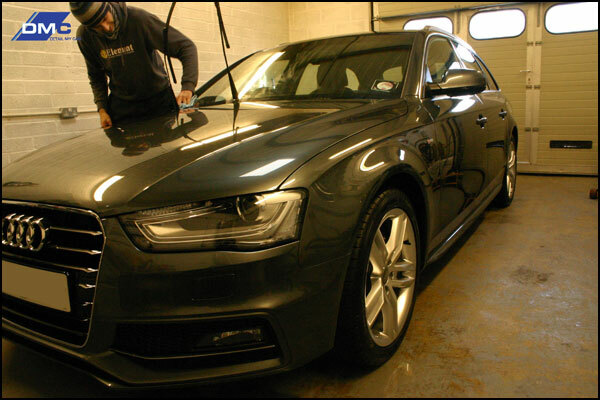 The Audi was given a Citrus Pre Wash to safely remove any bugs splatters and traffic film. 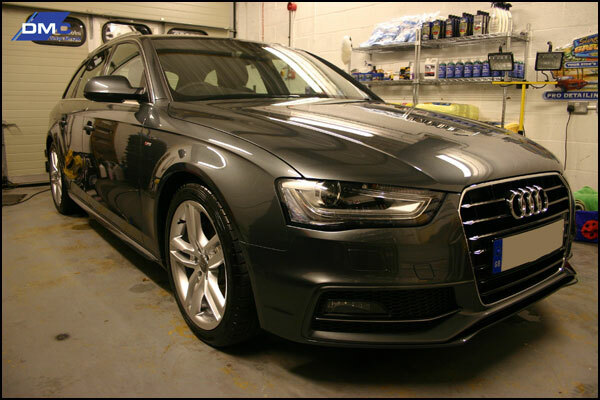 The Audi was then rinsed before being washed using the two bucket method and Ultra Gloss Bodywash. 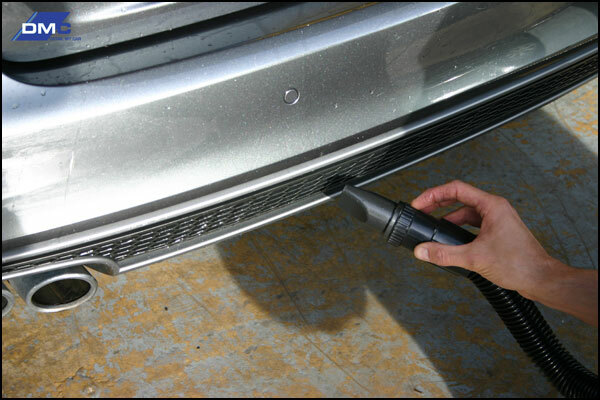 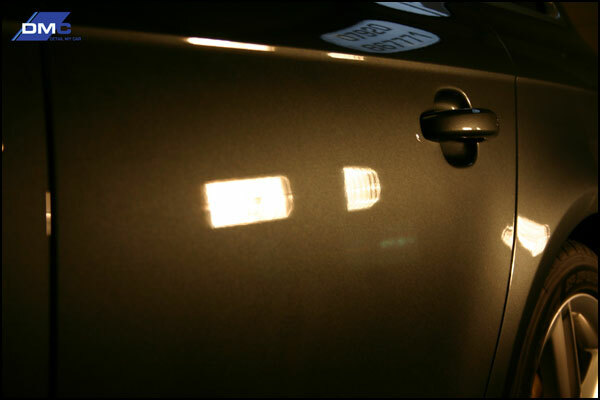 After a further rinse, CarPro Iron-X was sprayed on the entire car to dissolve any unseen iron contaminants. 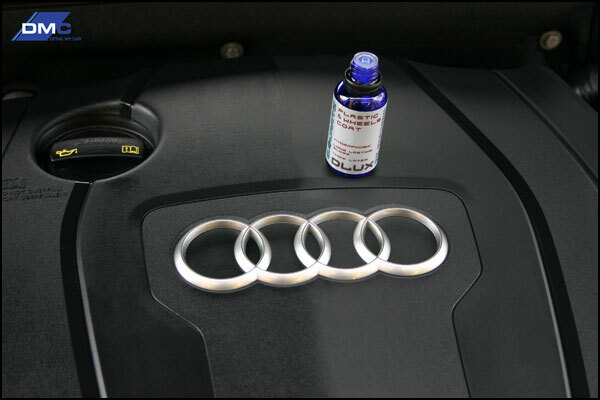 The Audi was in good shape with only a handful of areas being contaminated – mirrors, roof and the rear end. 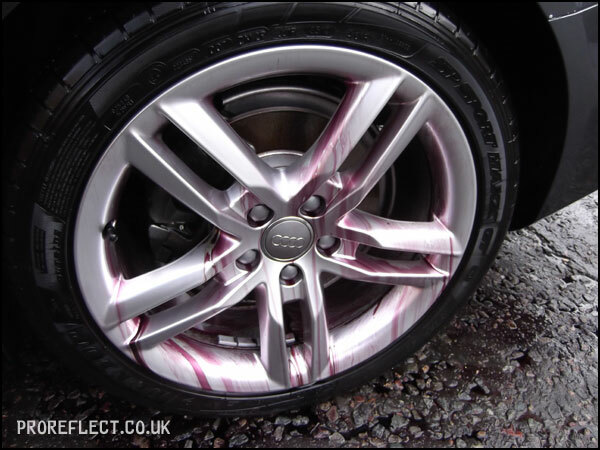 All four wheels were loaded with iron fallout. 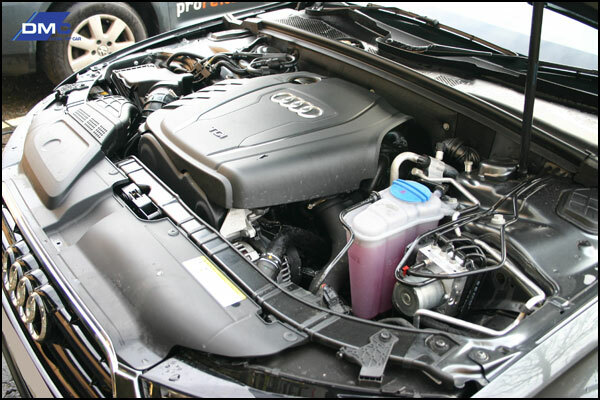 After a final thorough rinse using pure water, the Audi was moved into the unit where it was gently towel dried. 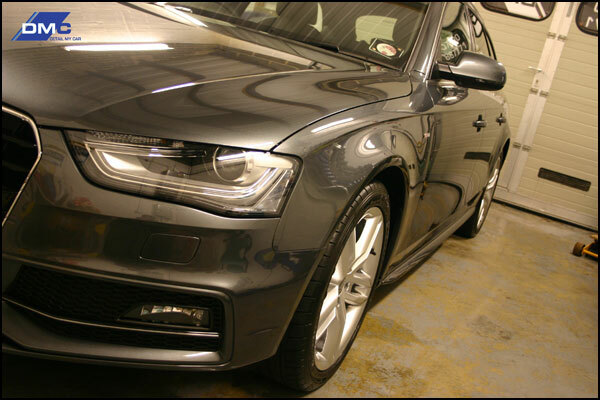 All tricky areas were dried using warm filtered air and made sure the Audi was bone dry. 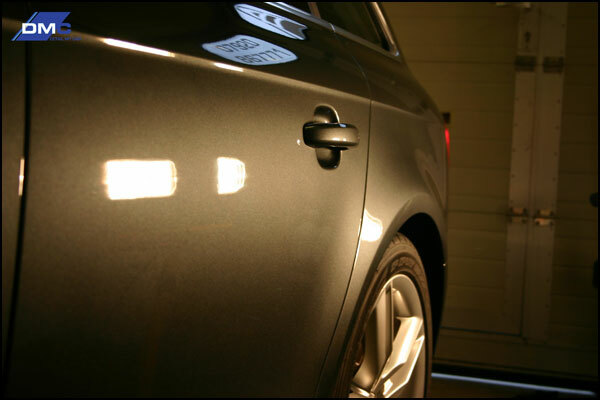 Once dry, Nick went around the car taking paint readings and looking for any paint imperfections. 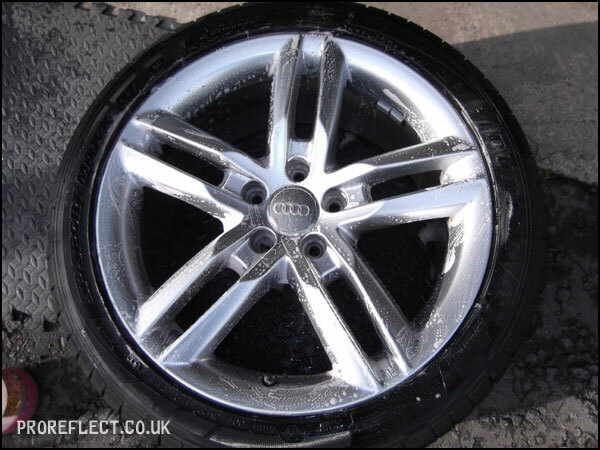 …and then using Tardis which removes any tar present and then CarPro Iron-X to remove any remaining iron fallout still present from the initial wash stage. 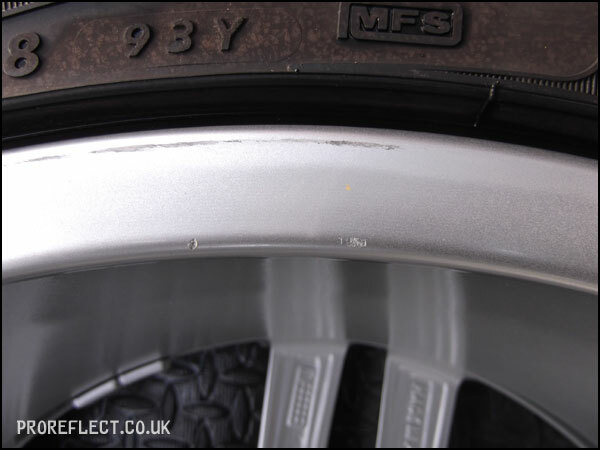 One thing that we both noticed was that all four wheels had scratches on the inside face of the alloy. 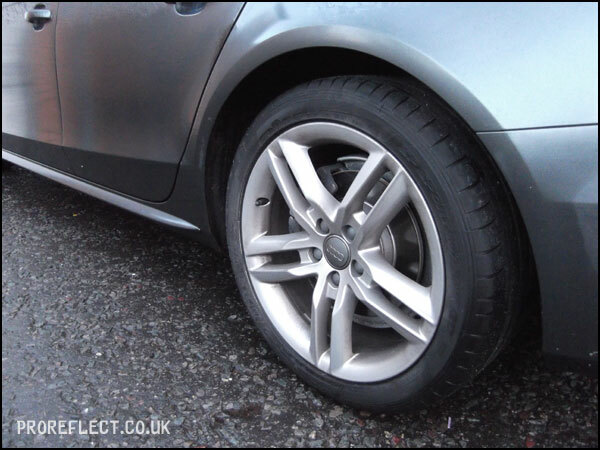 Maybe from putting the tyres on or balancing the wheels or from storage; either way not good for a brand new car. 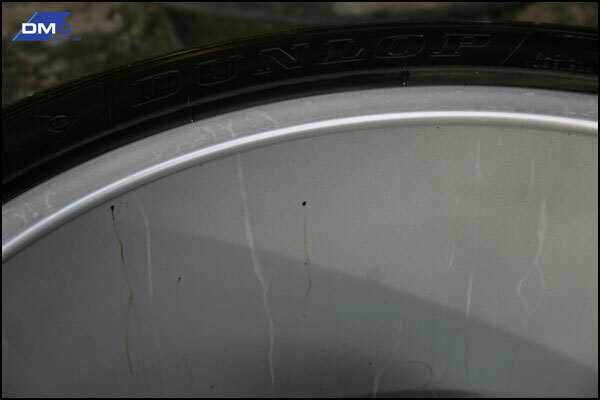 You could argue that you can’t see it when the wheel is on but that’s not the point. 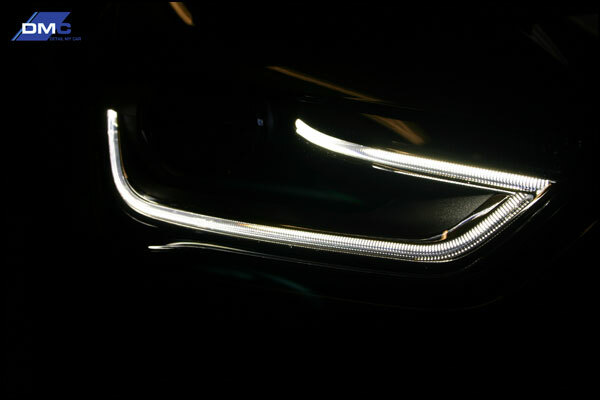 If you buy a brand new car, you want everything ‘brand new’. 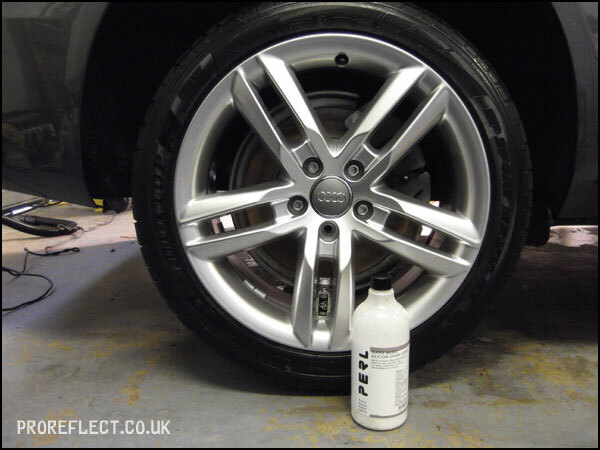 …before being sealed with Carbon Collective Platinum Wheels that chemically bonds to become the functional surface of your rims making them dirt and brake dust repellent. 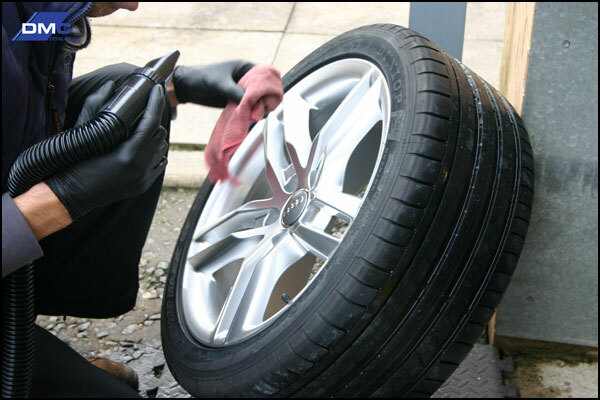 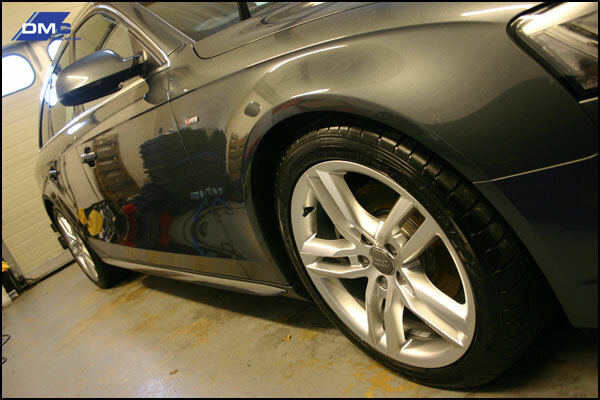 All tyres were treated with CarPro Perl. 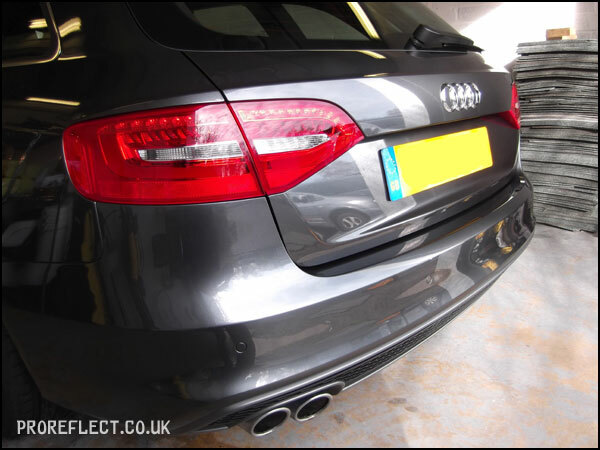 A couple of very minor paint imperfections were found on the rear end and Nick polished these out before wiping the car down with CarPro Eraser ensuring the paintwork was free from fingerprints, oils etc. 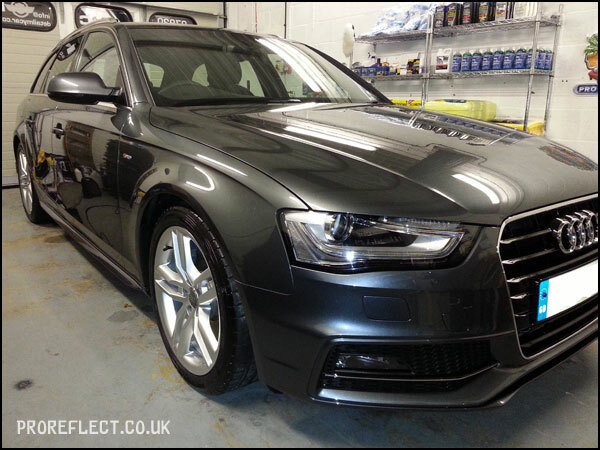 Now the paintwork was looking good and ready for the Cquartz Finest application. 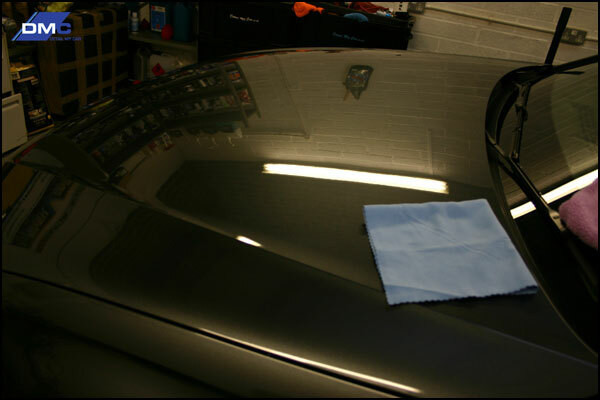 The bonnet after one coat of Finest. 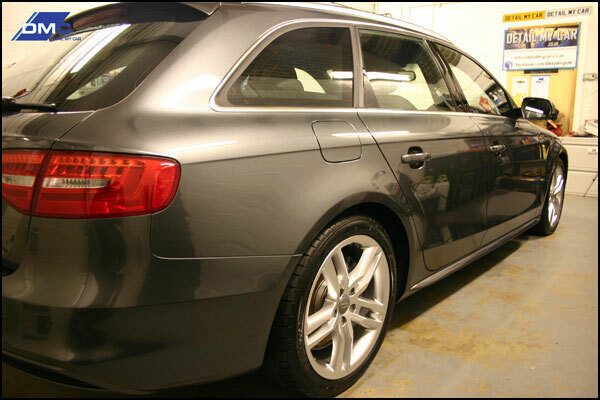 In all, the Audi got two coats of Finest and left for 24 hours to cure. 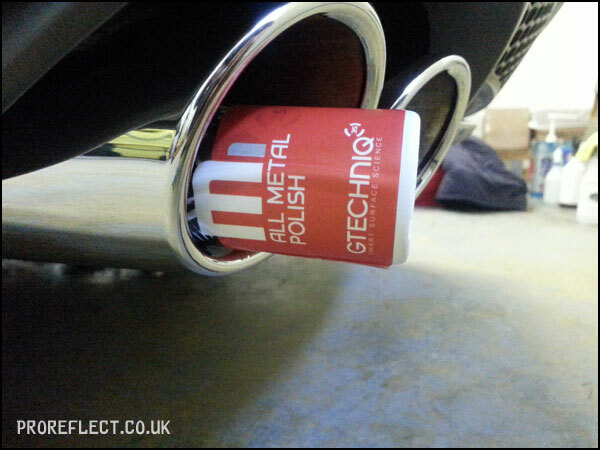 The exhaust tips were polished with Gtechniq M1. 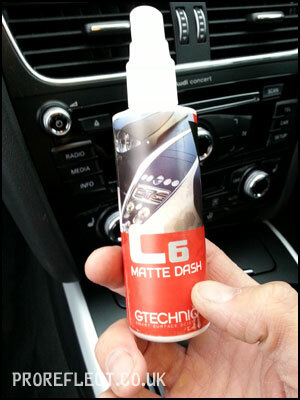 All interior plastics were treated with Gtechniq C6. 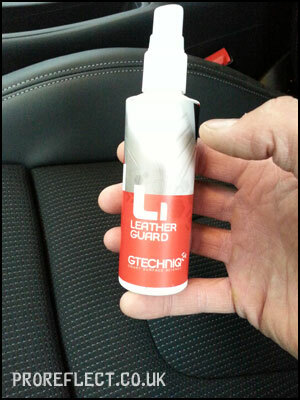 The half leather interior was treated with Gtechniq L1 and all four mats were treated with Gtechniq I1. 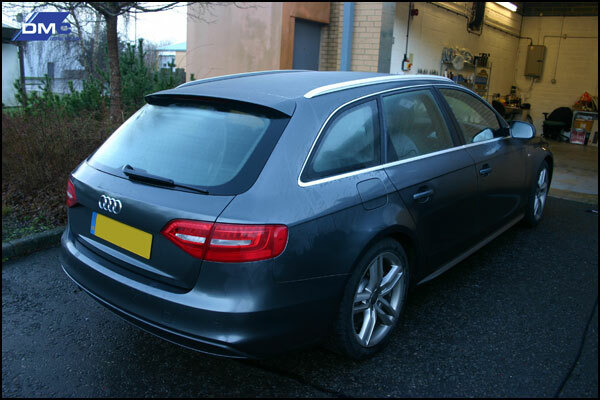 All exterior glass was sealed with Gtechniq G1 which gives outstanding water repellency. 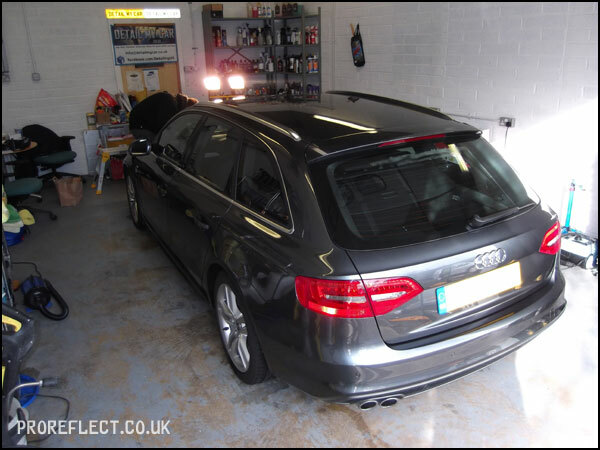 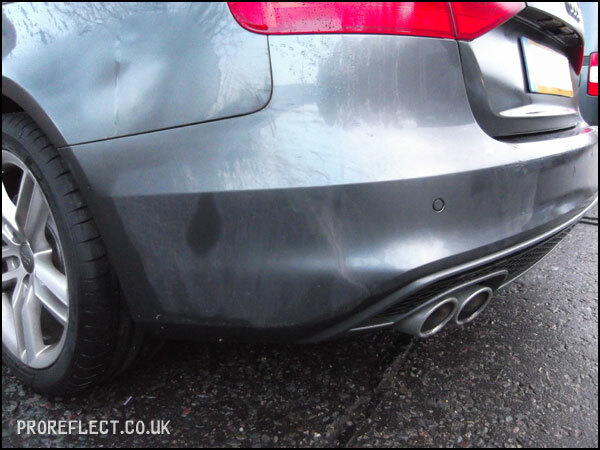 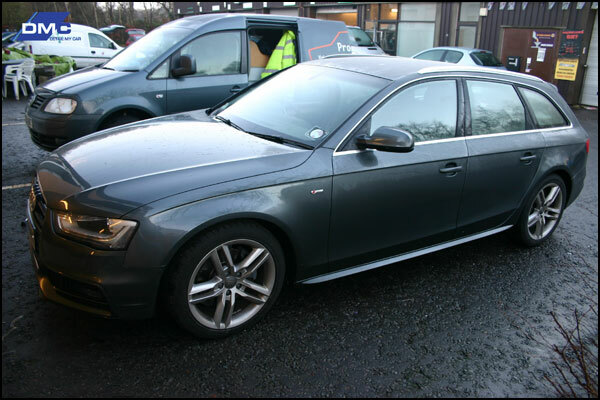 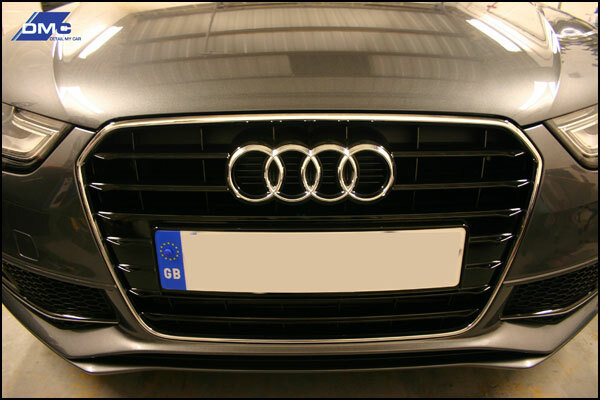 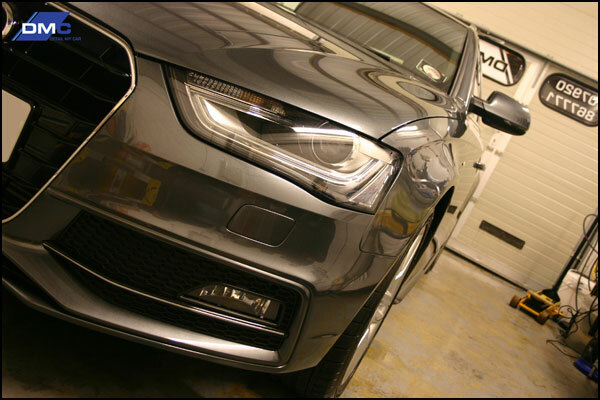 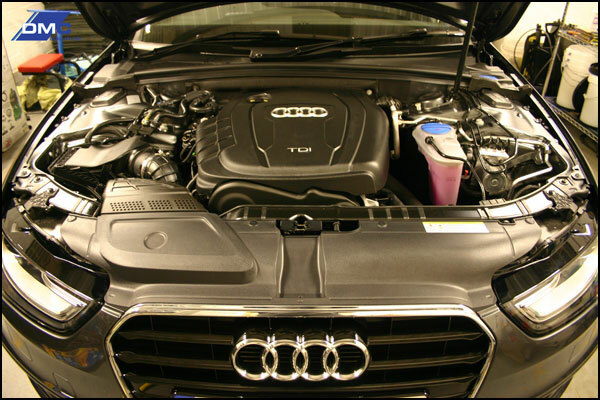 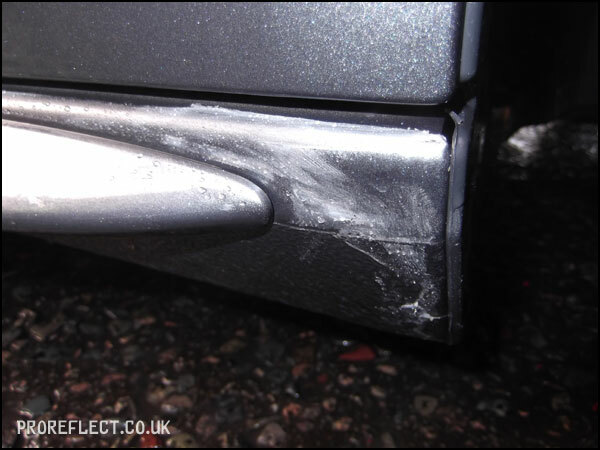 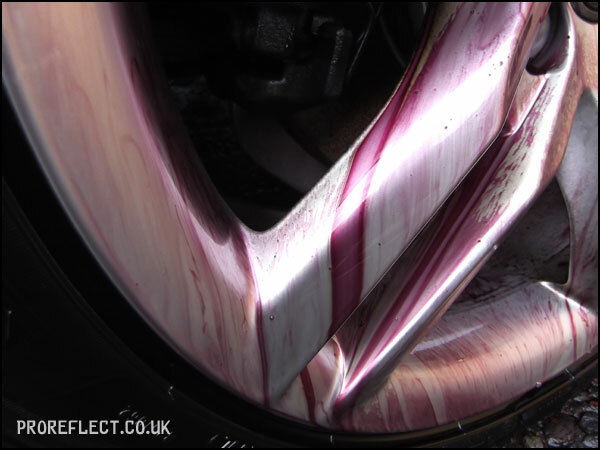 Prior to the client collecting the Audi, the paintwork was treated to a layer CarPro Reload. 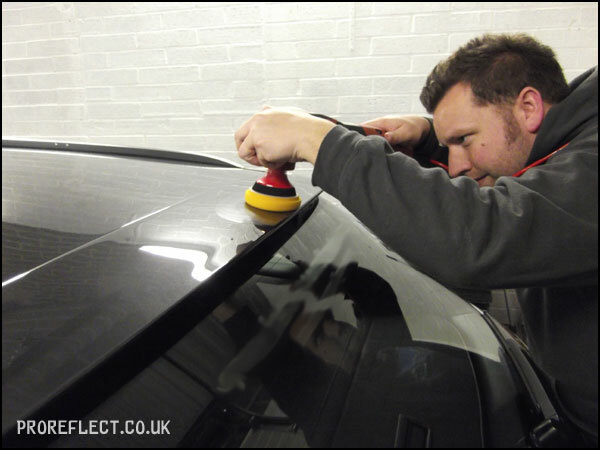 This allows the Finest coating underneath to cure fully over the coming days. 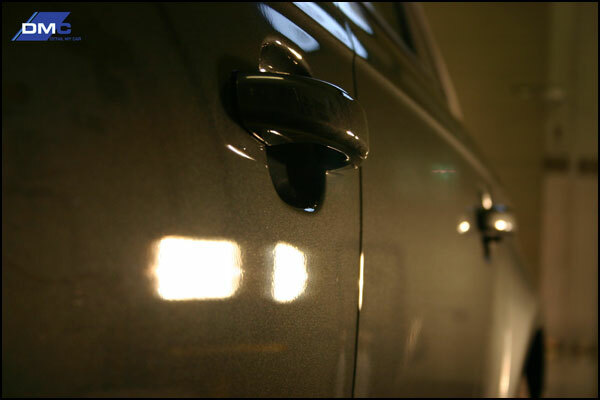 All exterior plastics and rubbers were treated with CarPro Dlux, the honeycomb lower plastic trim treated with CarPro Perl and the door shuts protected with a layer of Gtechniq C2V3.